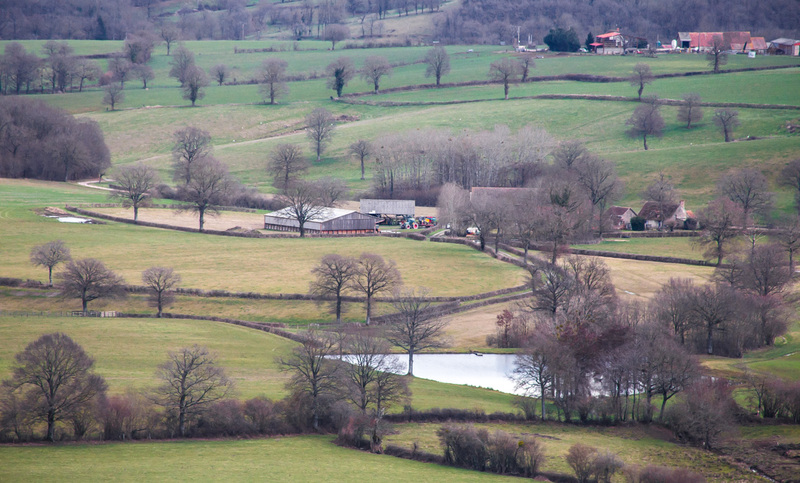 There is something about it (or many things about it) that at a glance tell you it's French countryside and not Spanish or American or English. Gosh, I learn soooooo much about France, its buildings, landscapes, customs, people etc. etc. from both Ken and you. And always in an easy-to-read writing style. Thank you very much for that! My mom thought that the fences needed to be kept cleaned out, but it is easy to see here why it's good for the environment to let them grow up. You still have to be careful that the livestock doesn't escape. Those oak barrels are important for wine and whiskey, non? Ohhhhh, that is a beautiful view, with the winding rows of hedges. Lovely! evelyn, they certainly are! And cognac and armagnac and calvados, too!